Got back from the 1st Spring into Summer QSC retreat. This was a bring your own project retreat. We started after 3pm Sunday and finished up Wed. at lunch. There were 30 of us at White Oak Conference Center near Winnsboro SC. My project was to make a new quilt for William. It looks American Indian, as it is supposed to. William went to Jackson Hole, Wy on a Scout trip. He was gone over my birthday. He found a quilt shop and bought me fabric. He bought 4 yrds of the blue and 5 yrds of the orange. So, I am using them in his quilt. What do you think??? Wonderful if I must say so myself. LOL Others at retreat said I need to show this quilt before I give it away. 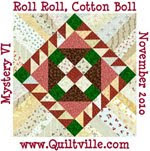 Still have to quilt it and then I will decide. William may want it first, so will be up to him also. This took most of my time to piece. Next are pictures of others at retreat. Here is Harry Sue making rugs. She made 3. See the basket, it was full of strips sewn together. Crazy lady, but had 3 wonderful rugs at the end. Monday nite we watched a video about Quilts of Valor. 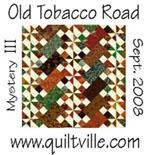 It had Alex Anderson, Mark Lipinski, and Eleanor Burns coached 3 non-quilters making quilts. Then at then end the now new quilters presented their quilts to vets. What a great show. Tuesday nite we had smores out by the fire pit. Forgot to take my camera out, but fun was had by all. We all said we would like to do this again next year, so keep your fingers crossed. If you are a QSC member, let your board members know you are interested. Gorgeous quilt, love the colors and patterns. 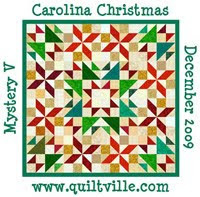 Can hardly wait to see how you quilt it. Looks like you had a grand time. I would have gone but I do this thing called work. Not forever! Sounds like a wonderful time and that quilt is so beautiful! I had thought about coming to the retreat - hate that I missed it. YOur quilt is stunning. I love your quilt. Did you use strip sets and a large wedge ruler to create the design? I look forward to seeing it close up finished.